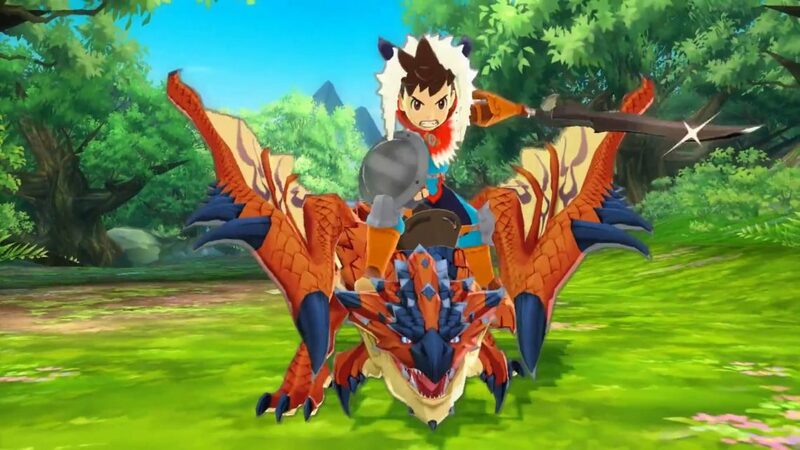 I actually first watched the anime adaptation of Monster Hunter Stories Ride On and I followed it regularly till my rather busy schedule got the better of me. At that point of time, I thought to myself that the concept presented in this anime would be a great game mechanic, as hatching monster eggs and being able to ride on them is a truly cool idea. I mean, I believe every Monster Hunter fan has the urge to ride on a Rathalos someday right? Well, that day is here. Stories is a turn based RPG (ala Pokemon) that departs from the usual fast paced action based gameplay of the Monster Hunter franchise. The unique feature about Stories is that instead of just fighting these monsters, you also get to acquire their eggs and hatch them as part of your stable of “Monsties”, which in turn then fight with you with the help of a Kinship Stone. While the amount of silly nomenclature is through the roof in this game, the terms do grow endearing once you hear them enough. Playing this game in 3D is amazing as the gameplay is designed with the 3D aspect in mind. Animation is fluid as you have the option to speed up the battle process without affecting the quality of the graphics. True to the spirit of the game, it maintains a bright and colourful exterior that is a stark contrast to the darker and grittier mainline title. The cuter chibi design of the characters and monsters are very adorable and will appeal to both male and female players alike. While the overall graphic quality is commendable, it isn’t the best looking game on the aging 3DS console. Some of the movements of the characters is choppy and sometimes you get a lag effect when things get too hectic. 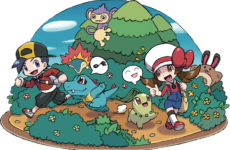 If Capcom is looking to make this title a success, they need to follow the route Pokemon has taken with its smooth graphics and clean interface. Nonetheless, it is a great effort as this is the first time Capcom has ventured into the JRPG territory. The soundtrack for Stories is both melodic and soothing. It retains all the good qualities that made the main line series soundtrack a huge success. Travelling the vast expanses of rolling plains and endless sand feels a lot more enjoyable thanks to the great accompanying background music. Most of the sound effects has been borrowed from the main game, with felynes and item creation sound notifications being exactly the same. Yet, the manage to squeeze in a few new original sound effects, like the Kinship Stone activation, combo attacks and many more. The surprising section of this game has to be the storyline itself as it progresses steadily and has some very hyped up sequences that is bound to get any fan of the series excited. It starts off pretty cheesy as it goes through the standard fanfare of “bonding with your monstie” and “have a fun travelling together” sentiments, but the plot gradually becomes more intense and even heartwarming at times. 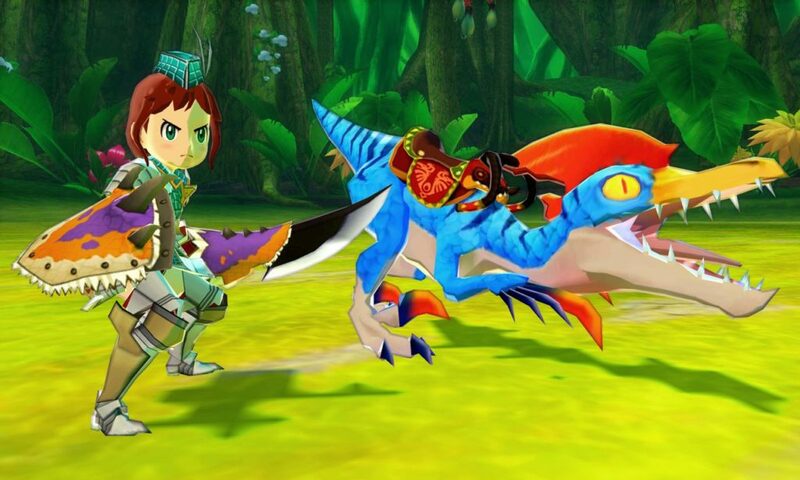 There are a few themes presented in the game, as they pit the Rider Code against the Hunter Code (one kills monsters for sport and survival while the other creates an understanding of sorts with their monsters, no prize for guessing which is which), the betrayal of a good friend and the controlling of monsters against their will to commit heinous crimes. The above itself is a testament to the series since storyline has never been the main selling point in the history of Monster Hunter. The characters themselves are quite distinctive from one another, with the main standouts being Cheval, the quiet boy turned determined monster killer, and the always annoying but entertaining Navirou, a strange Felyne that accompanies you on your journey. This is the real reason you should purchase this game for as it has multiple solid gameplay mechanics which never tire throughout the game. The combat system is deceptively simple, yet it has many nuances that show the thought process of the game developers. Choose between Power, Technique and Speed attacks each round and your Monstie will do the same. Each time you win this rock, paper, scissors duel, your Kinship Gauge powers up and once it fills up, you can perform a Ride action (where you literally ride your Monstie) and subsequently unleash a devastating special attack. Choose between 4 weapon types – Sword and Shield, Great Sword, Hunting Horn and Hammer – and fill up your Battle Pouch with 10 items (you can’t use items which are not in your pouch during battles) before deciding on which monster to hunt. Despite sounding minimal in nature, there is a plethora of skills associated with each Monstie, weapon, armor and items to consider. Stacking this against the 100+ monsters available with different attack patterns, special skills, combos as well as elemental strengths and weaknesses keep this game fresh from the get go. Each Monstie has a useful special ability outside of battle that allows them to break rocks, climb terrains, travel through lava or water and even some that grants flight. 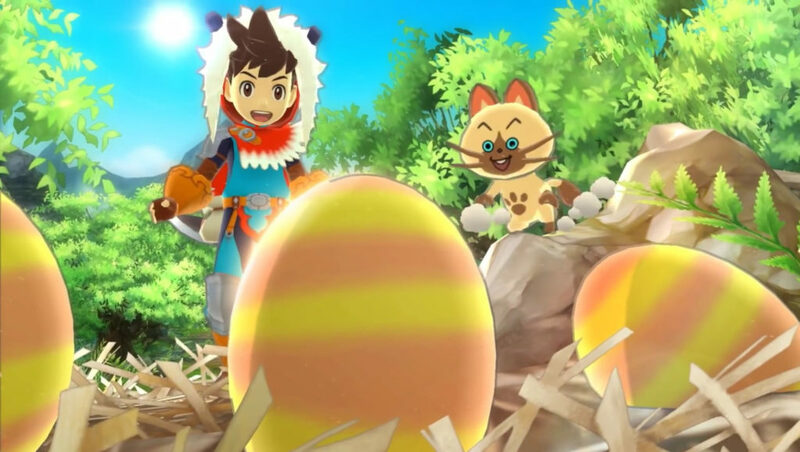 Some even allow you to search for rare monster dens which house rare monster eggs, which is the entire reason to explore the large beautiful world, as the rare monsters usually have a different coloration and better stats. 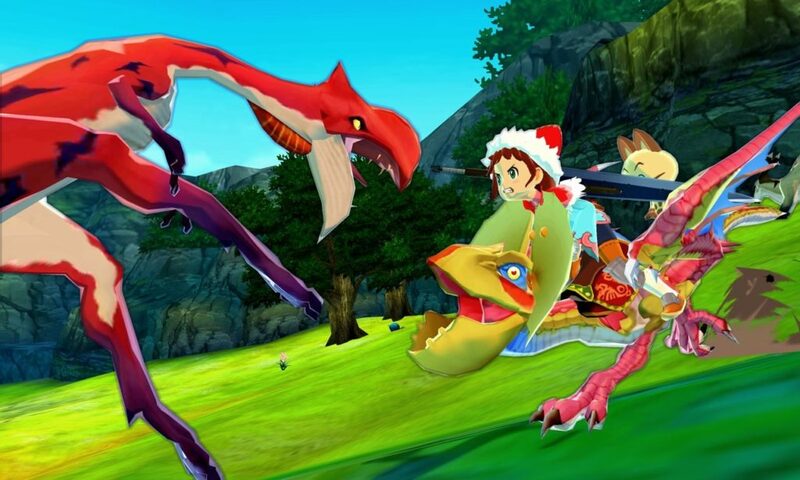 Exploring these dens allow you to battle rare monsters themselves which in turn drop materials that is crucial for you to forge new and better gear. Rare materials dropped by monsters are just worth more in this game, speeding up the process of getting your gear as opposed to being a necessity to forge it. 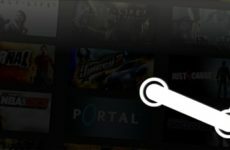 This streamlined system is a great welcome as it helps bridge the game to newer players and helps focus on the fun aspect of the game. Although you explore dens, fight monsters and collect materials repeatedly, it never feels like a chore and the excitement of exploration is always present. Throughout my first 20 hours into the game, I have not grinded to get better gear excessively nor have I out leveled the storyline enemies. There was no need to farm the enemies to get stronger; it was a natural process because the game is just incredibly fun and well put together. The difficulty of the AI is also challenging to say the least and no monster is a pushover. The game does have a very forgiving death system, whereby if you get knocked out in battle, you will just respawn at a nearby area without any penalties. There is no sense of urgency and doesn’t penalize you in anyway for losing your battles. These are minor issues though as the main trunk of the game is steady and always exciting. Right off the bat, Stories tackles major issues present with the main line game itself such as the lack of a good storyline (nobody needs a storyline when you get to hunt cool looking monsters) and the repetitive grind for better gear and raw materials. While parts of the story and gameplay is a bit gimmicky, nothing else hinders this game from being a home run in all other aspects. It is currently sold out everywhere in Malaysia, so if you chance upon it anywhere, buy it in a heartbeat. Great post game content is also available and I have already got a small taste of it via the Rite of Channeling mechanic which allows you to mix up your Monstie skills via gene transfer. Fancy having a Rathalos with an Ice Beam? What about a Tigrex with Thunder Breath? It is all possible with this new system. Also, you can test out all your special skills via the PVP battle system with another player at any time. The downside of this feature (apart from wiping the floor with your opponent’s face with your super team) is that it does not allow for co-op play which Monster Hunter is infamous for. However, one can always hope it will be a DLC in the near future, right? Right?